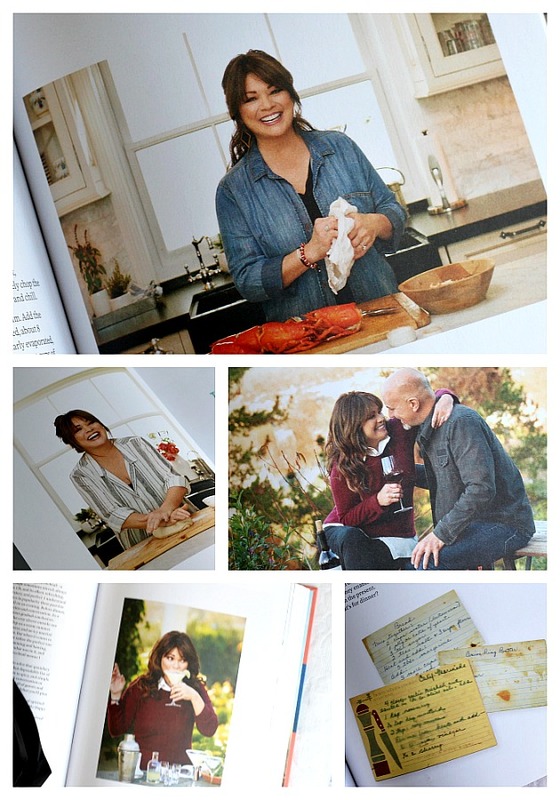 Spunky and adorable, Valerie Bertinelli recently released a cookbook titled, Valerie’s Home Cooking. The publisher gave me a free copy to look through and review. 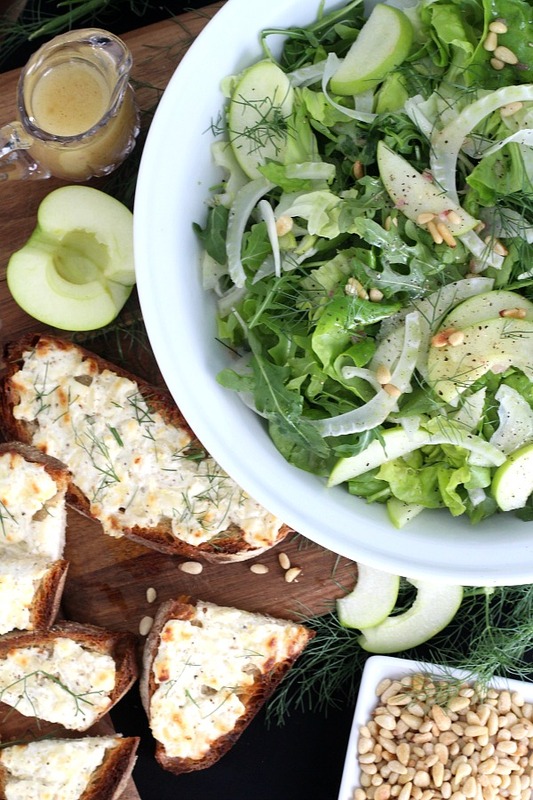 I am sharing Valerie’s, easy recipe for Arugula, Apple and Fennel Salad with Citrus Vinaigrette and Three-Cheese Crostini. I think it is perfect during these January days as we try eating lighter after the holidays. Many of you will remember Valerie for her roles as Barbara Cooper on the sitcom One Day at a Time (1975–84), Gloria in Touched by an Angel (2001–03) and Melanie Moretti on the sitcom Hot in Cleveland (2010–15). Valerie writes, that today, she gets the most pleasure from sharing love from her kitchen, creating new experiences and filling the table with delicious food for long-time friends and family. 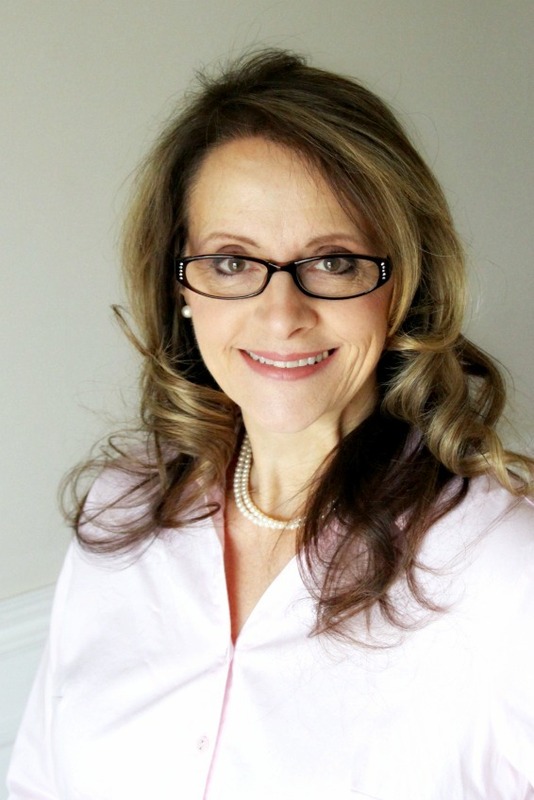 This passion inspired her cooking show, Valerie’s Home Cooking on Food Network. 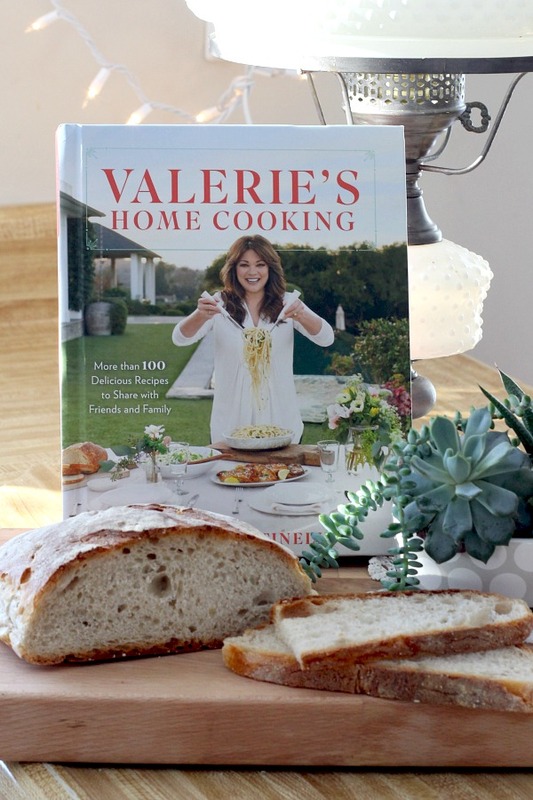 Valerie’s Home Cooking, featuring More than 100 Delicious Recipes to Share with Friends and Family are easy to make, fresh, and uncomplicated. I find them down-to-earth, casual yet with an elegance making even an after-work dinner special. The cookbook consists of 266 pages, with a short introduction about her life and cooking interests. The recipes use common ingredients you probably have in your home with clear instructions and lovely color photos. There is also a section on metric equivalents, index and acknowledgements. Recipes include breakfast, dinner, sweet treats, cocktails, and salads. Valerie’s Home Cooking cookbook would make an excellent housewarming gift as well as being a great reference cookbook for your own home. While home on college break, our grandson came bouncing into the kitchen just as my husband and I were preparing to sit down to lunch and sample this salad. Jared was hungry and to my surprise wanted to eat the salad with us. He is a huge burger or sushi guy and I didn’t think he would be interested in a salad. As you can see, he enjoyed a large plateful. As a first course or a lunch meal, this salad is perfect. The dressing is bright and flavorful. But even with the Three-Cheese Crostini, we wished it was a little more filling. Jared liked my suggestion to top the salad with grilled chicken or cooked shrimp to make it more substantial. Here is the cover of Valerie’s Home Cooking cookbook. Snippets from the pages of Valerie’s cookbook. After a couple of days of heavy snow, we welcomed the bright, sunny Saturday at home. Outside, the temperature was plunging to zero but we were cozy with the wood-burning stove filling the house with its warmth. I gathered the ingredients and got started making lunch. 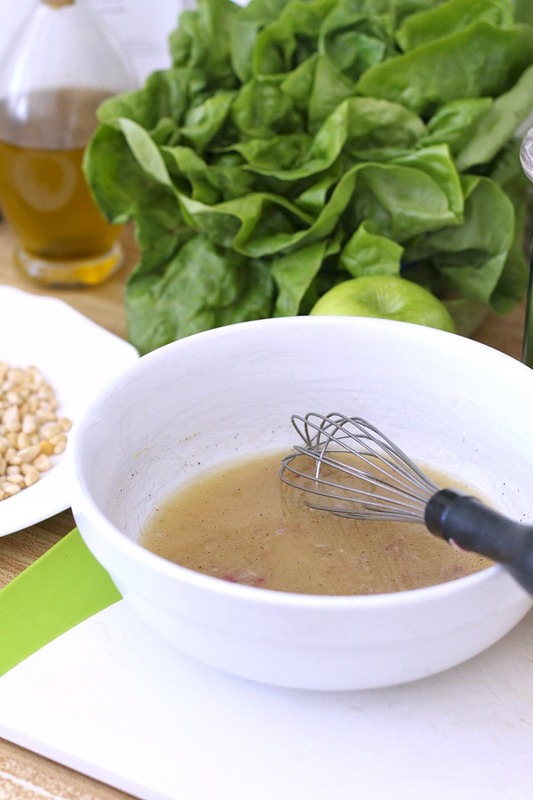 Begin by whisking together the vinaigrette ingredients. 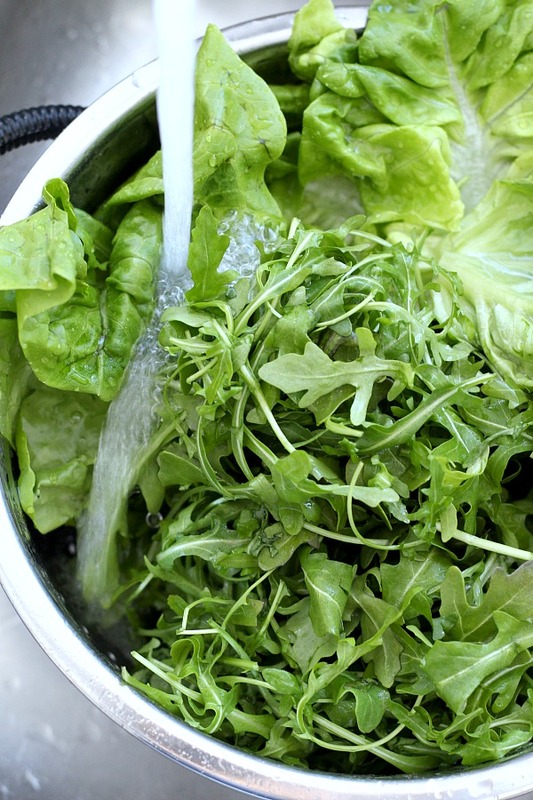 Wash the arugula and Bibb lettuce. 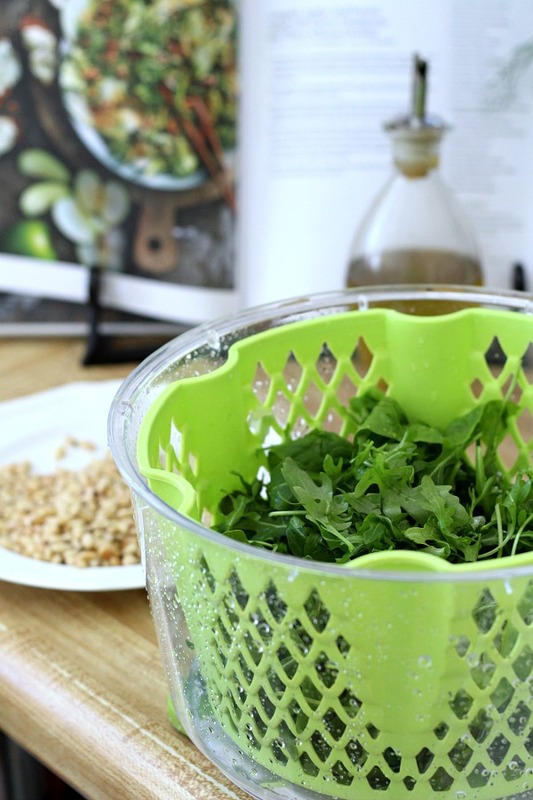 Dry the salad greens with a salad spinner or blot dry. Even a little bit of water on your greens will repel the oils in salad dressing, preventing it from coating the leaves. Instead the dressing will slide off and pool at the bottom of your bowl, where all that extra liquid will make the whole salad go soggy and limp faster. 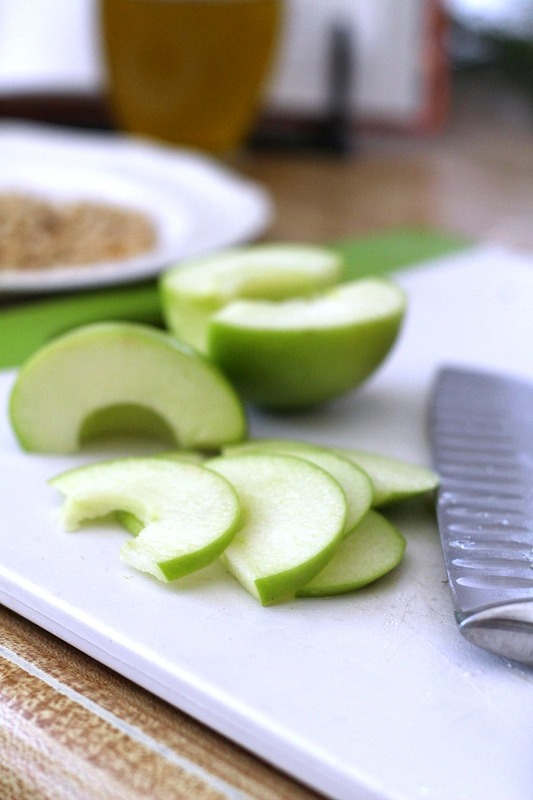 Core and thinly slice a granny smith apple. 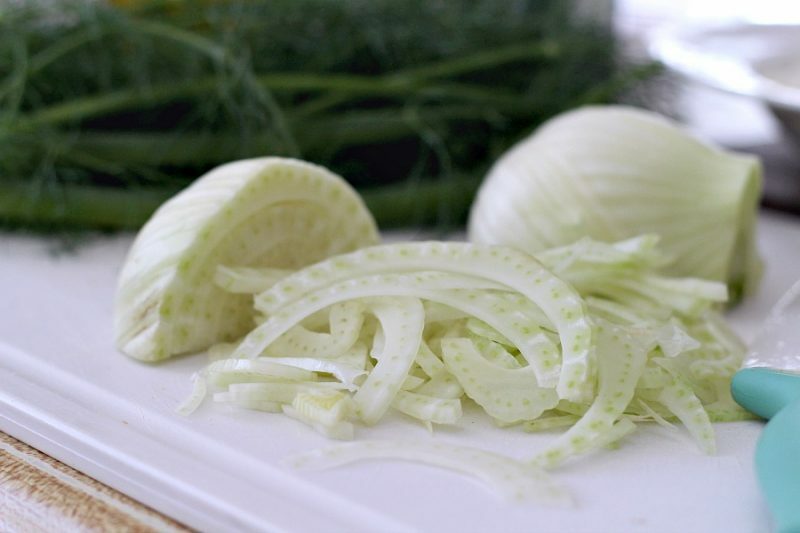 Rinse, dry and thinly slice a fennel bulb. Chop fennel fronds and set aside. 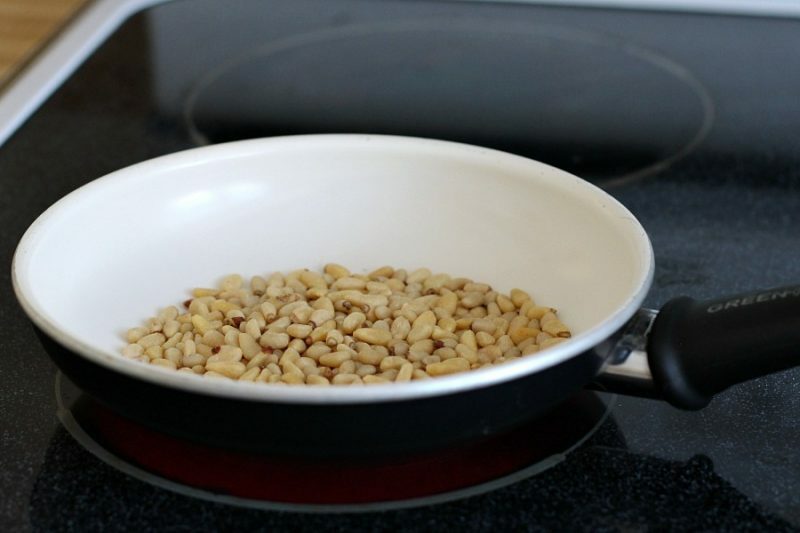 Toast the walnuts or pine nuts, as I used, to bring out the taste. 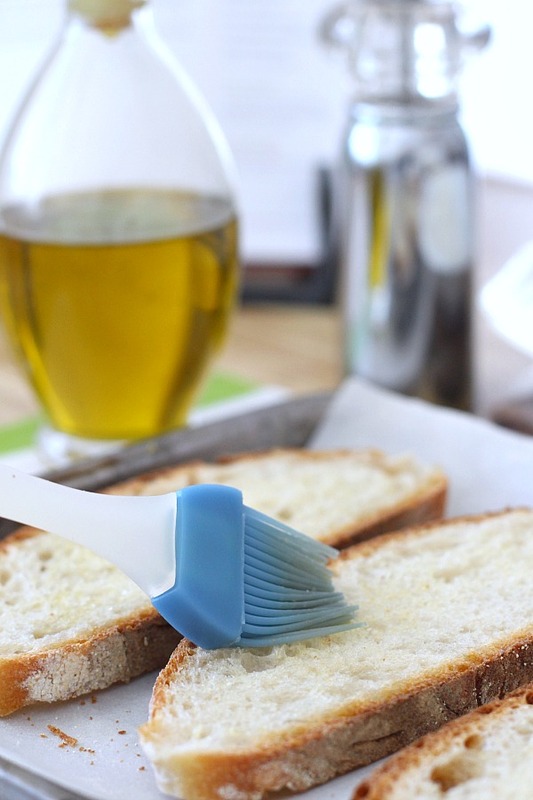 Brush tops lightly with olive oil and bake. 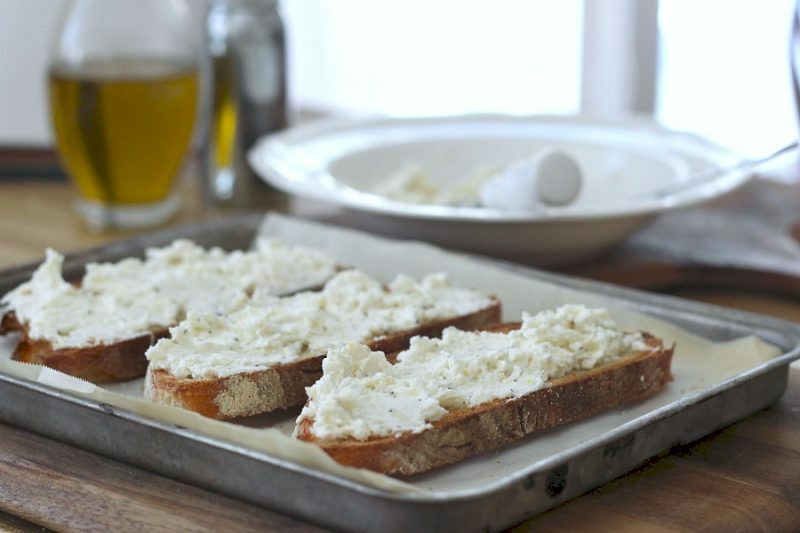 Combine the cheeses and seasonings and spread the mixture on the bread; return to the oven and bake a few more minutes until browned and toasty. Add the dressing to the salad ingredients and toss. 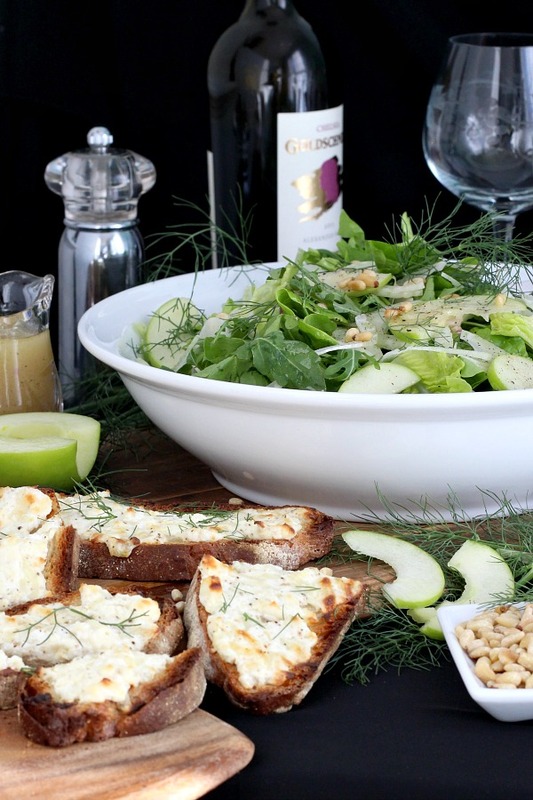 Divide the salad evenly among 4 plates and serve with crostini. Funnily enough, though this salad is one of my favorites, the recipe came about on one of those serendipitous I’m hungry and going to use up everything left in the fridge type of days. I always have fennel and arugula around, and I had one green apple left, so I threw it in as a last-minute addition. During apple season I love making this salad as either a starter for dinner, or I’ll do it as a full meal when I indulge in the three-cheese crostadas. They’re basically really amazing croutons. Preheat the oven to 375 degrees F. Whisk together the shallots, citrus juices, honey, mustard, salt and pepper; let stand for 2 minutes. Add the extra-virgin olive oil in a slow, steady stream, whisking until blended. Set aside the dressing. 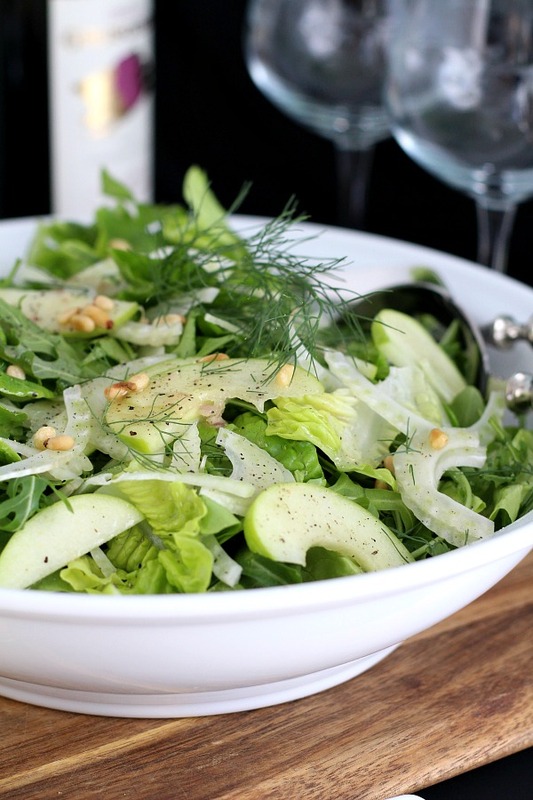 Toss together the arugula, Bibb lettuce, apple, fennel bulb and walnuts in a large bowl. Set aside the salad. Place the baguette slices in a single layer on a parchment paper-lined baking sheet, and lightly brush the tops with the olive oil. Bake until lightly toasted; about 2 minutes. Remove from the oven. Stir together the cheeses, lemon zest, and black pepper in a small bowl; stir in 1 tablespoon of the reserved chopped fennel fronds. Spoon about 1 tablespoon of the cheese mixture onto each toasted bread slice, and return them to the oven. 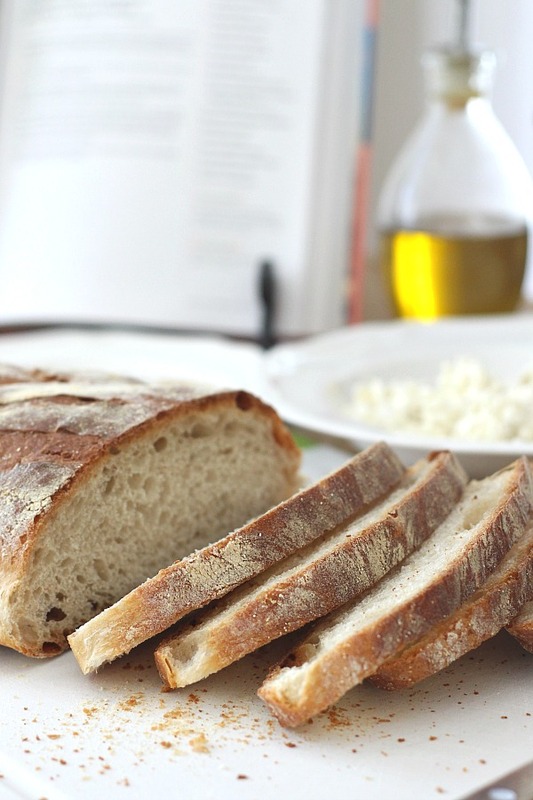 Bake until the cheese slightly melts and the bread edges are crispy, 2 to 3 minutes. Add the dressing to the salad and toss. Divide the salad evenly among 4 plates, serve with 2 crostini. 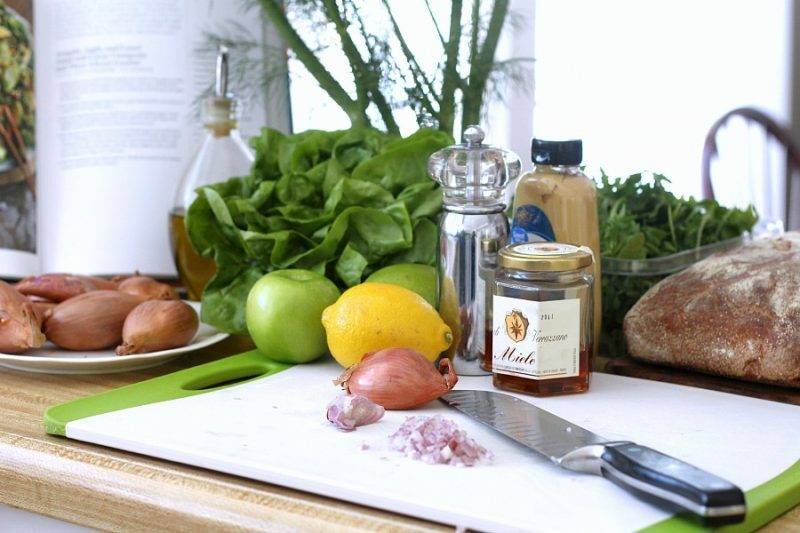 The vinaigrette can be make up to a week ahead, stored in the fridge in an airtight container. It is a nice dressing to have on hand for any salad. Feel free to use only the arugula or mix up the greens to your liking. This is a good recipe for John’s diet. I confess I have never tasted fennel. 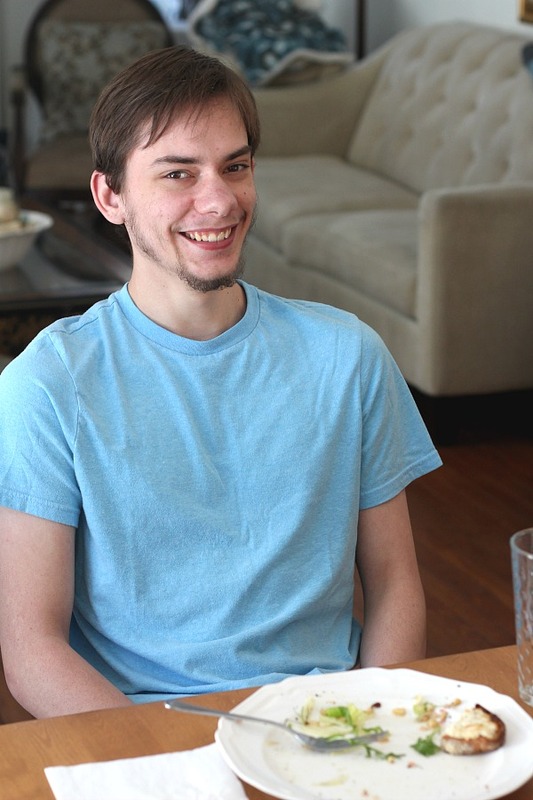 Nice to see Jared – glad he could enjoy lunch with you! Valerie B has remained cute as a button thru the years – thx for the info on her cookbook.